Here’s a couple of things that, in my experience, you probably best stick to a wall in the room where you are painting the picture of your Customer’s Journey. Somehow we seem to forget when busy. Let me know what you think, or add yours in the comment section below! 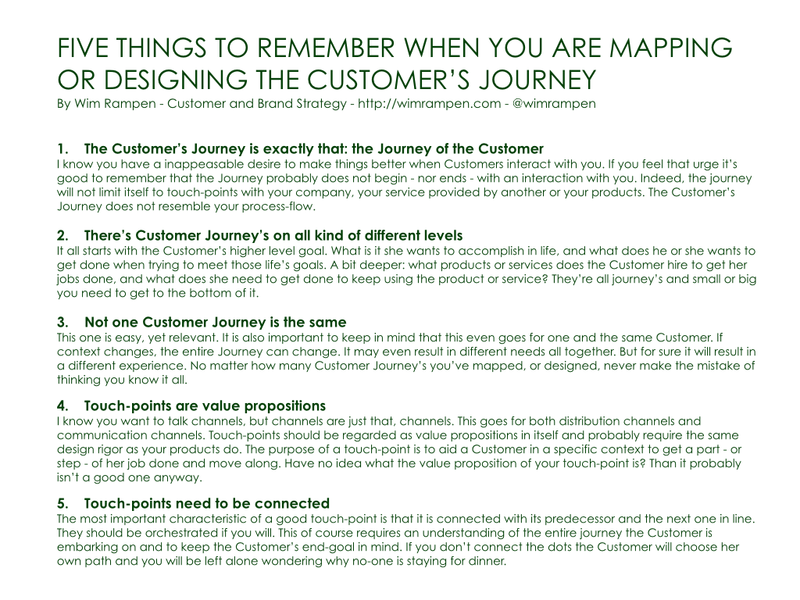 Pingback: Five Things To Remember When Mapping The Customer’s Journey – wimrampen.com | Designing: service, customer services, customer experience.